On Sunday, Oct. 20, the Wellington Runner’s Club hosted the ninth annual Horse Country 10-Miler, Sebastian’s 5K Walk/Run and the Middle School Challenge & Kids Fun Run. The USATF-certified course, which ran through the village’s equestrian and aeronautical communities, had more than 600 participants, who raised $12,000 for the Kids Cancer Foundation. 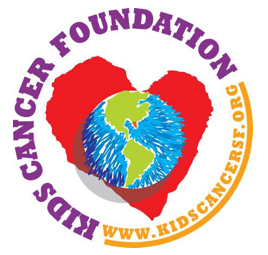 For more information about the Kids Cancer Foundation, visit www.kidscancersf.org or contact Michelle O’Boyle at (561)371-1298. For more information about Wellington Runner’s Club, visit www.wellingtonrunners.org. We are an organization with the common interest of running and personal health, based in Wellington, Florida. The Wellington Runners Club is dedicated to training runners for distance events from 5,000 meters to the marathon. Our objective is to provide professional coaching and support to members so they can realize their full potential as runners. The club's coach is Jon Pagalilauan, who is a very accomplished runner and tri-athlete. Jon will be on hand on Wednesday evenings to conduct our weekly track workout . WRC meets twice each week. A long run on Sunday mornings and speed workouts on Wednesday nights. Run with us, check us out, and join!